Storm Log File/File Directory: Where is it? I am working on localcluster, I have written simple code and run it from ide(IntelliJ), and it runs correctly, and shows the logs also. Therefore I have decided to use slf4j with log4j binding. # Redirect log messages to a log file, support file rolling. 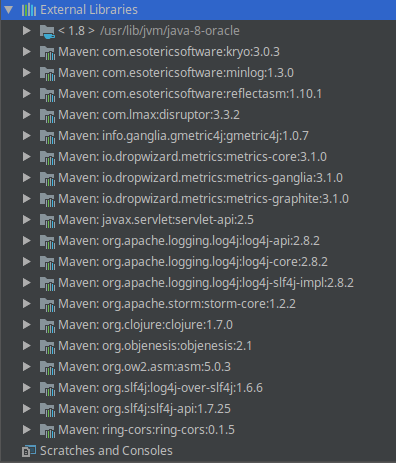 From the looks of it seems that you probably have another log4j.properties file somewhere in your classpath which is being used instead of this one. Sometimes it can be included in jar files. Not the answer you're looking for? Browse other questions tagged java log4j slf4j apache-storm or ask your own question. Why is log4j logging to two separate files?